On 23 September 2015, at an event at the Estorick Collection, RMA announced their new partnership and celebrated 35 years of practice. 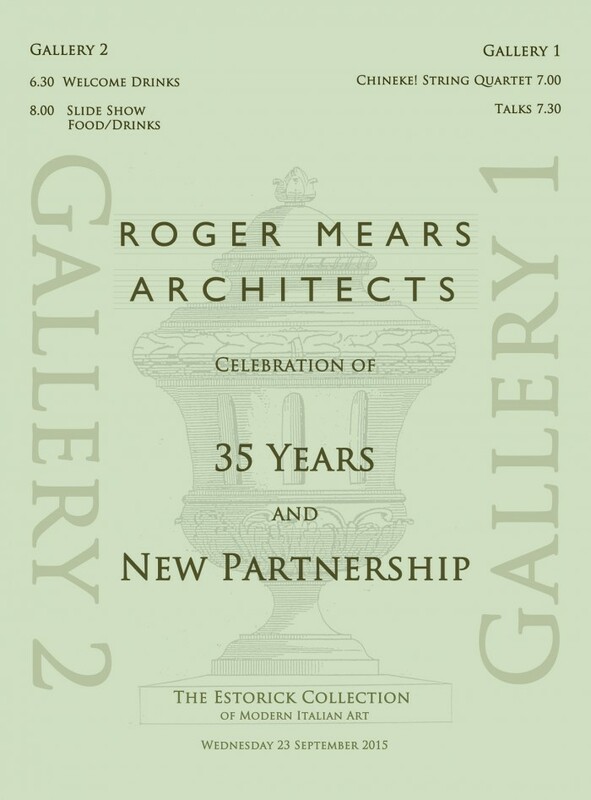 Roger Mears Architects is celebrating 35 years in Practice this September. We are also Launching our new partnership with Roger Mears, Alan Brown and Sarah Khan.